We offer high end tourism services to our clients that offer the best of what Jordan has to offer with regards to the sites visited. Our itineraries take you off the beaten path to showcase gems that are easily overlooked by others. The cultural itineraries are further enhanced by Jordan's friendly inhabitants, which are some of the friendliest and welcoming in the world. Jordan has been blessed by beautiful weather, with over 310 sunny days a year, and several climatic zones which make it worth a visit throughout the year. 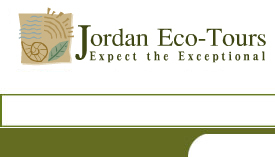 Please visit Jordan Select Tours for further information.